Strong and beautiful. 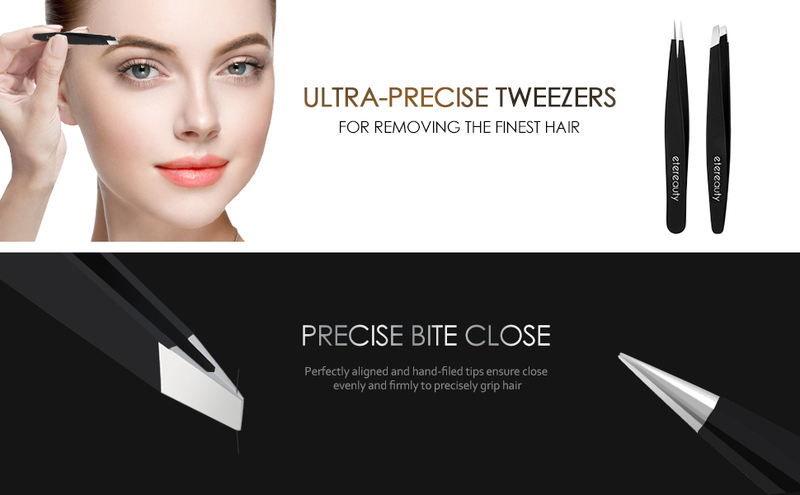 Precision Slant Tweezers is ultra-precise and durable for removing the finest ingrown hair. Ideal for short tricky stubble, ingrown hairs and baby-fine strays. An essential tool towards brow perfection. The tips are finely hand-filed and ultra-thin to perform with advanced accuracy. The Slant Tweezer goes wild to tame your brows. Grabs every hair, every time. Famous for its precision, featuring perfectly aligned hand-filed tips for expert brow shaping. 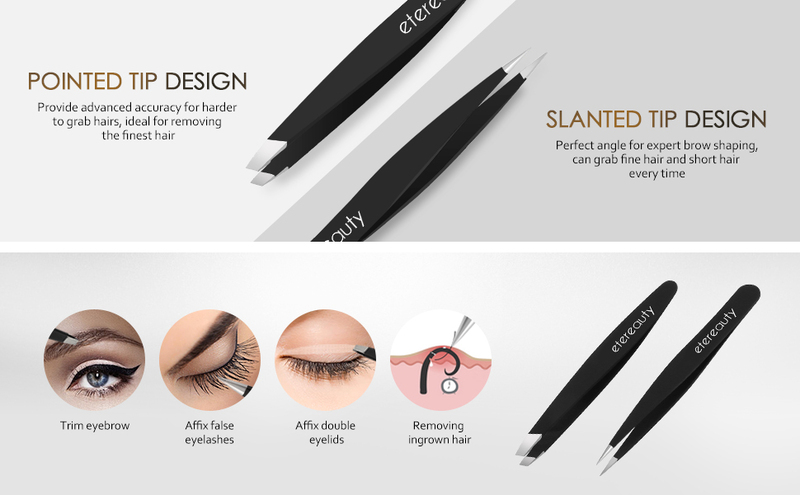 • That's why you'll be amazed at the difference these ETEREAUTY tweezers will make. You'll love the way these tweezers feel in your hand as well. • The matte black finish and ergonomically design of the handle portion makes them easy to grip and control. • For best results, plucking eyebrows should be done after showering, while the hairs are soft and follicles are open. • Pull the skin between the hair follicle taut, not tight. • Pay attention to speed. Rapid movements equal less pain. • If you're sensitive to pain, ice the area after you've removed all of the offending strands (hairs fall out easier with warm skin).